For over a century the focus of psychotherapy has been on what ails us, with the therapeutic process resting upon the assumption that unearthing past traumas, correcting faulty thinking, and restoring dysfunctional relationships is curative. But something important has been overlooked: the positives. Shouldn't making us happier, better people be explicit goals of therapy? 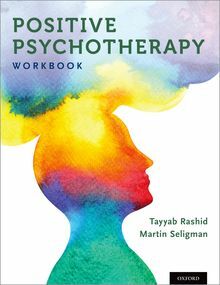 Positive Psychotherapy: Workbook guides readers through a session-by-session therapeutic approach based on the principles of positive psychology, an exciting new area of study examining the factors that enable us to flourish. This workbook, designed to be used in conjunction with the accompanying clinician's manual, first explains what exactly positive psychotherapy is, exploring the important concepts of character strengths. What follows are 15 positive psychotherapy sessions, each complete with lessons, guidelines, skills, and worksheets for practicing positive psychology skills learned in session. Those interested in improving well-being through psychotherapy will find in Positive Psychotherapy a refreshing complement to other approaches, endowing readers with a sense of purpose and meaning that many have found lacking in more traditional therapies. Tayyab Rashid is a licensed clinical psychologist and an associate faculty at the University of Toronto Scarborough, Canada, and has expertise in Positive Psychology interventions, resilience and post-traumatic growth. Published in peer reviewed journals, text books and popular press, Dr. Rashid is also the recipient of the Outstanding Practitioner Award from the International Positive Psychology Association (IPPA).